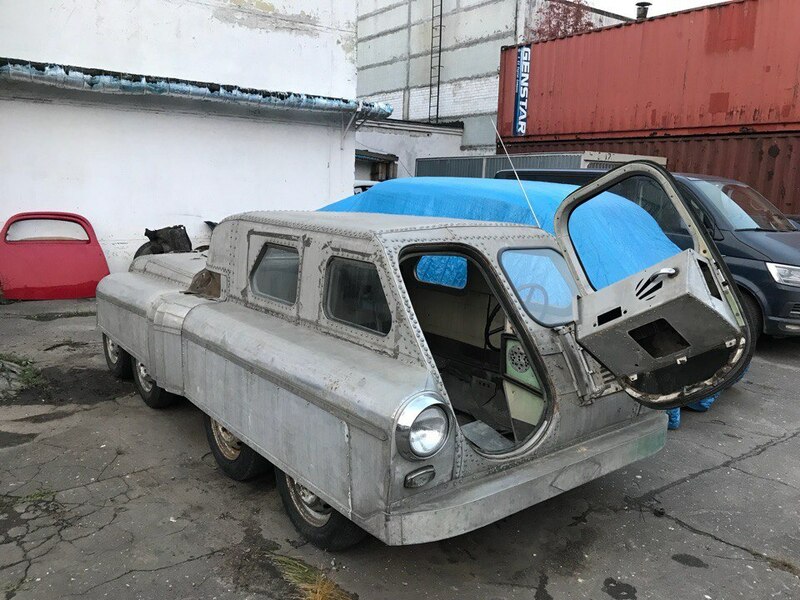 Russia is no stranger to weird and wacky vehicles and, of course, dashcam videos, but the following eight-wheeler could take the cake for curious things to emerge from the country. 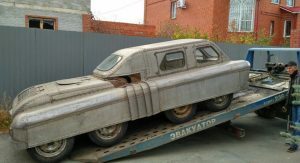 Uncovered by a user of the Russian social network VK, this eight-wheeled monstrosity is reportedly an Amphibious All-Terrain Vehicle (AATV) and was built by the Design Bureau of the Chelyabinsk tractor hydraulics plant in the 1950s, Russian Beyond reports. 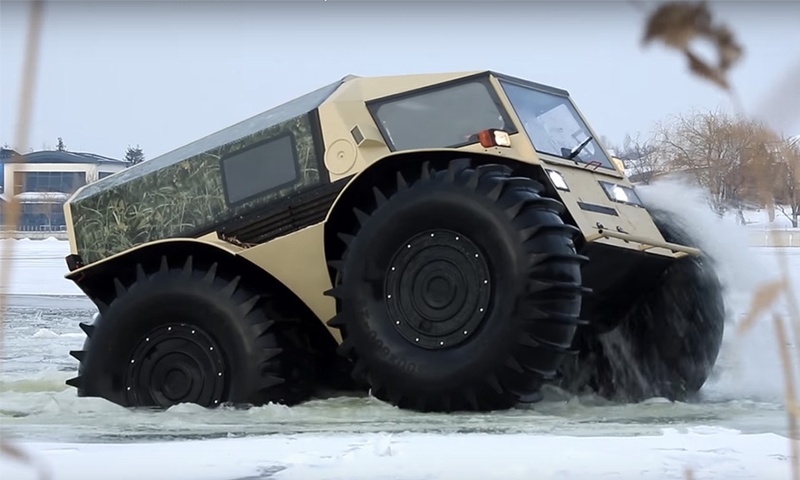 While the vehicle looks like a behemoth, it apparently weighs a mere 600 kg and isn’t any bigger than a large sedan, measuring 4530 mm long, 1900 mm wide and 1490 mm high. The key to its surprisingly low weight are all of the aluminum panels. 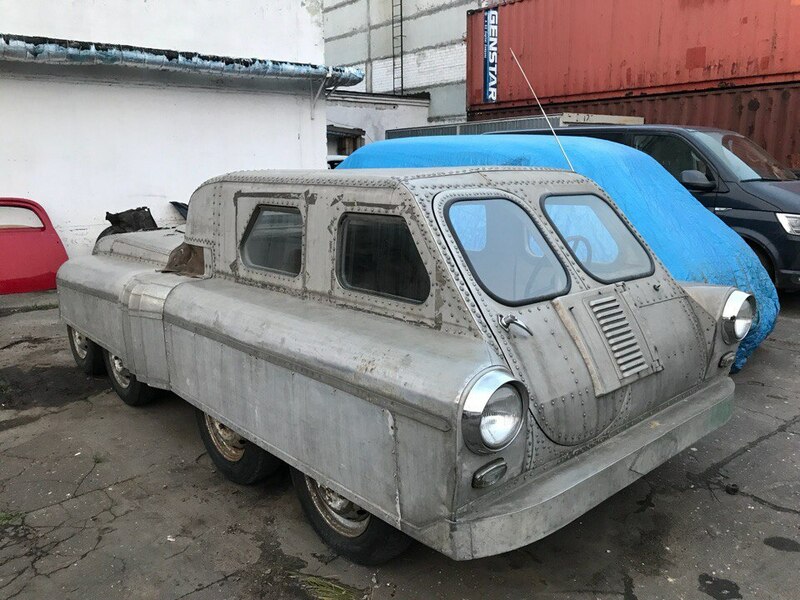 Little else is known about the vehicle, other than the fact that it borrows parts from the GAZ-M20 Pobeda and is all-wheel drive. 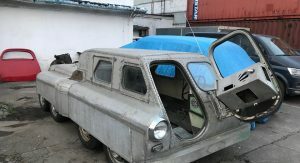 Do you know anything about this car? If you do, be sure to shoot us an email! 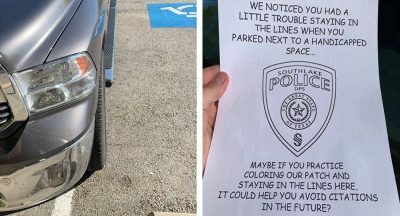 NOTHING BUT WHEEL WELLS. HARD TO IMAGINE THERE’S MUCH LEG ROOM. This thing is the epitome of Commie-Kool. 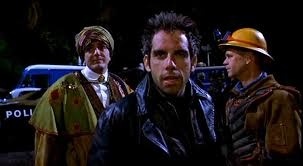 They were always able to infuse a certain design flair into even their most utilitarian contraptions. I like it! Wow, that is totally sci-fi from the past. 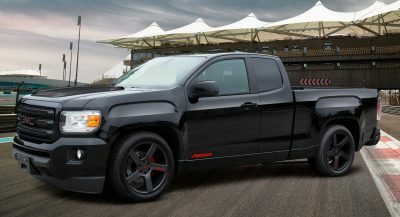 Yes, but does it come with backup camera and wi-fi capability? 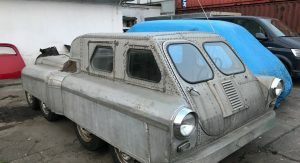 Amphibious vehicles are nothing new to Russia, this is a nice find though. Personally, I’d opt for something like this. Never know when the ice might give out from under you. 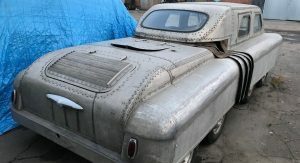 jeremy clarkson s new ride. 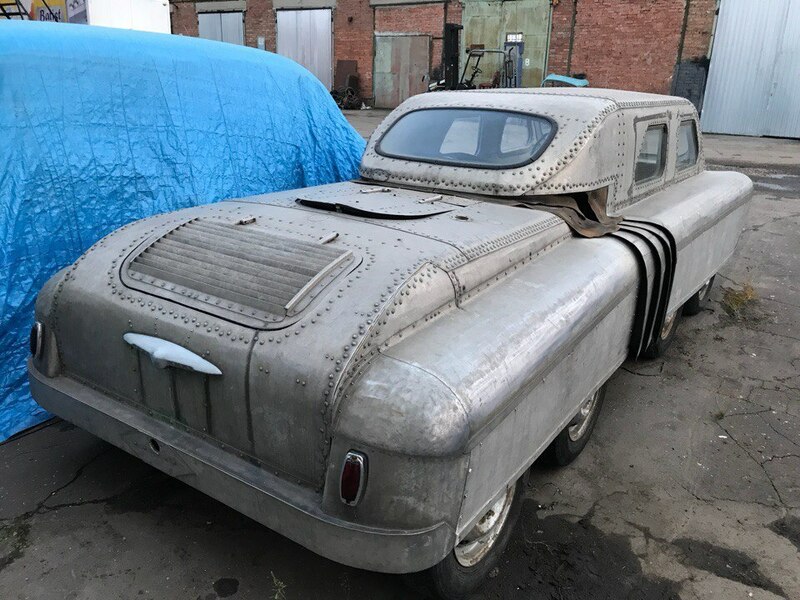 With a lick of paint and a decent radio fitted it could sell in their thousands. Pity British Leyland didn’t see this as it would have saved their bacon. I wouldn’t mind taking this for a ride. Russia? Looks about right. When you are from such a bleak place, you never develop a sense of style. 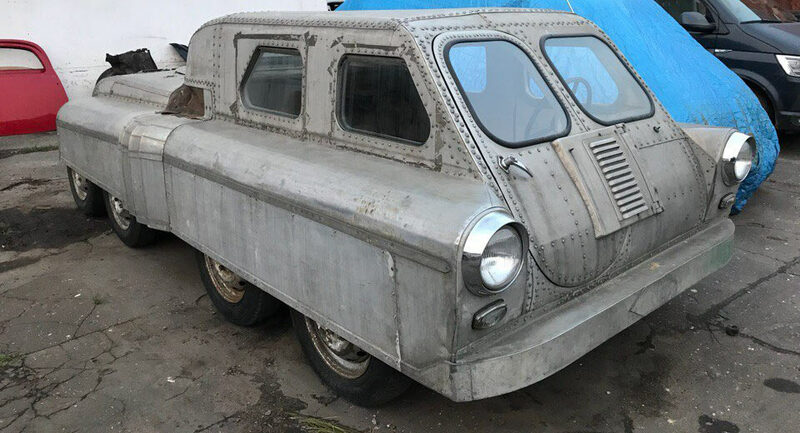 This was probably designed and built from old rocket parts in 2015. Are you sure it isn’t the prototype for the Honda Crosstour? 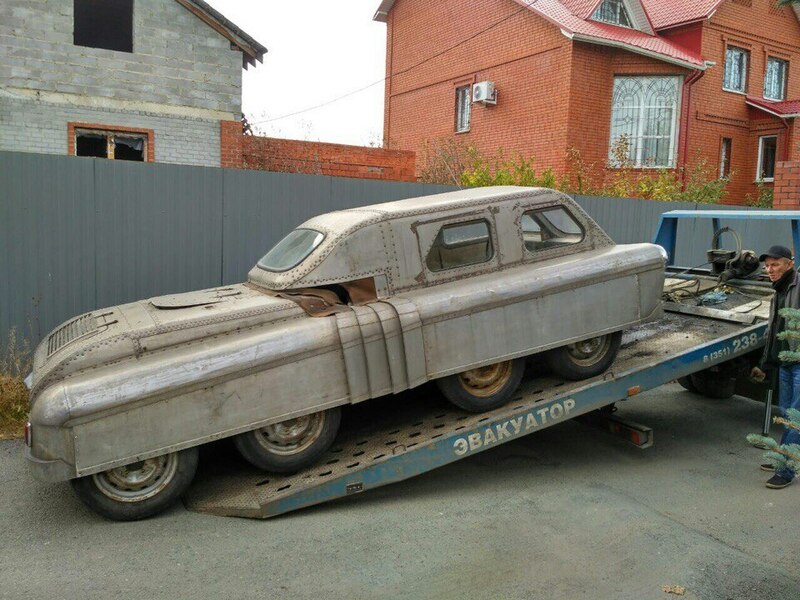 Wouldn’t mind knowing how amphibious this specific vehicle is since that mid section doesn’t really look air-tight.